The Boston Celtics were a Cinderella story last year. Without the services of superstar PG Kyrie Irving and All-Star Gordon Hayward, the Celtics were within five minutes of going to the NBA Finals. But thanks to Lebron James, we didn't. Then, Lebron left for Los Angeles, and the entire NBA world simply handed the Eastern Conference crown for the 2018-2019 season to the Celtics. Everyone believed the Cs would coast and dominate. The problem is: the Celtics believed that too. As a result, they saw themselves in dogfights with bottom feeders and on the wrong side of dominant performances. You could point to a lack of shooting. Perhaps to over-passing. Or the lack of attacking the basket to capitalize on the opposition being in the penalty. You could call it a lack of hunger, or just trying to get Hayward acclimated. I think that coming into the season, we were all expecting that we would kind of just take over, and we're very dangerous, and I feel like we've been humbled a little bit. We're in a position now that we have an opportunity to start building that, and we have to do it every night. If we're able to do that, we'll have a chance to be special, especially committing to the defensive end." Maybe the Celtics need to spread the floor more or simply knock down some more wide open looks. 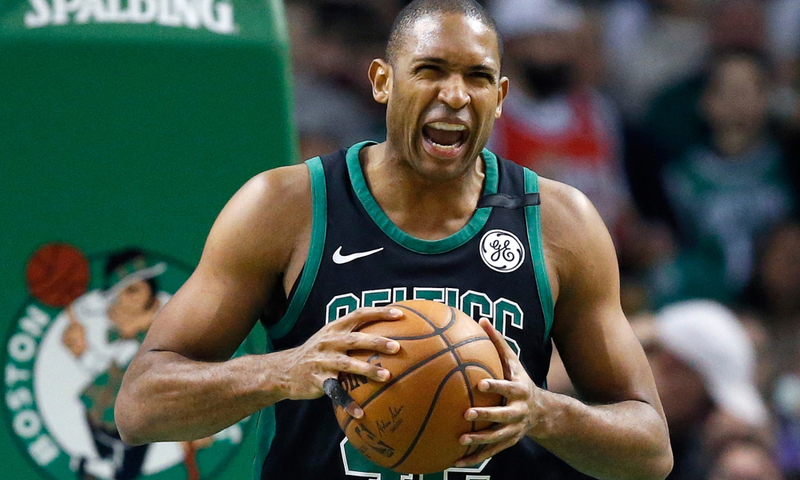 Or perhaps, as Horford stated, they just needed to gather around the dinner table and swallow some bitter humble pie. Let's see if this team keeps that bad taste of defeat in their mouths, using that as nightly fuel to play as they did against Chicago -- to consistently look like Celtics we all know and love. They'll need it as they look to avenge two of this season's losses in a back-to-back homestand against the Toronto Raptors and Utah Jazz tonight and tomorrow. Do you agree with Big Al? Do you think humility is what the Celtics needed to turn the corner?